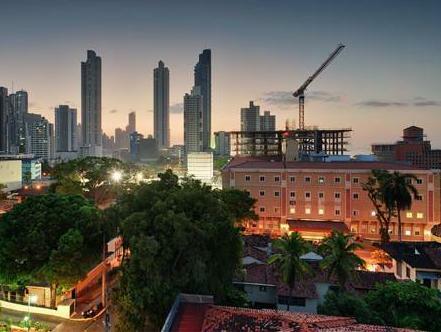 ﻿ Best Price on Hotel Costa Inn in Panama City + Reviews! Costa Inn Hotel features a rooftop swimming pool and terrace with spectacular views across Panama Bay. It offers a free buffet breakfast, free WiFi throughout the hotel and free covered parking. All air-conditioned rooms at Hotel Costa Inn feature a flat-screen TV with cable channels, a work desk and free WiFi. The private bathroom with shower includes toiletries. Guests can enjoy a range of Spanish and Panamanian cuisine at Costa Inn restaurant. There is also a bar and a terrace. The hotel provides an airport shuttle service, as well as a shuttle service to and from Albrook Mall and Multiplaza Mall. There is also a currency exchange desk, a car rental service, a business center and a gift shop. Marcos A. Gelabert International Airport is about 15 minutes’ drive away. Please note that there is shuttle service from/to the airport and hotel at an additional cost. The shuttle to the airport from the hotel leaves at 05:00, 08:00, 11:00 and 14:00. Please contact the property for more details. Some of the cleaning staff are more suited to work with tourism. The only complaint would be quality of bed. Der Pool auf dem Dach und die Lage fanden wir super. Die Zimmereinrichtung ist sehr alt und das Personal versteht leider kaum englisch. Trotzdem fanden wir unseren Aufenthalt schön. Wir haben nach einem Dschungelabenteuer das klimatisierte Hotel sehr genossen. Das Frühstück ist inklusive und der Dachpool gewährt einen schönen Ausblick auf Downtown. Bis zur Promenade sind es nur 10 min zu Fuß.